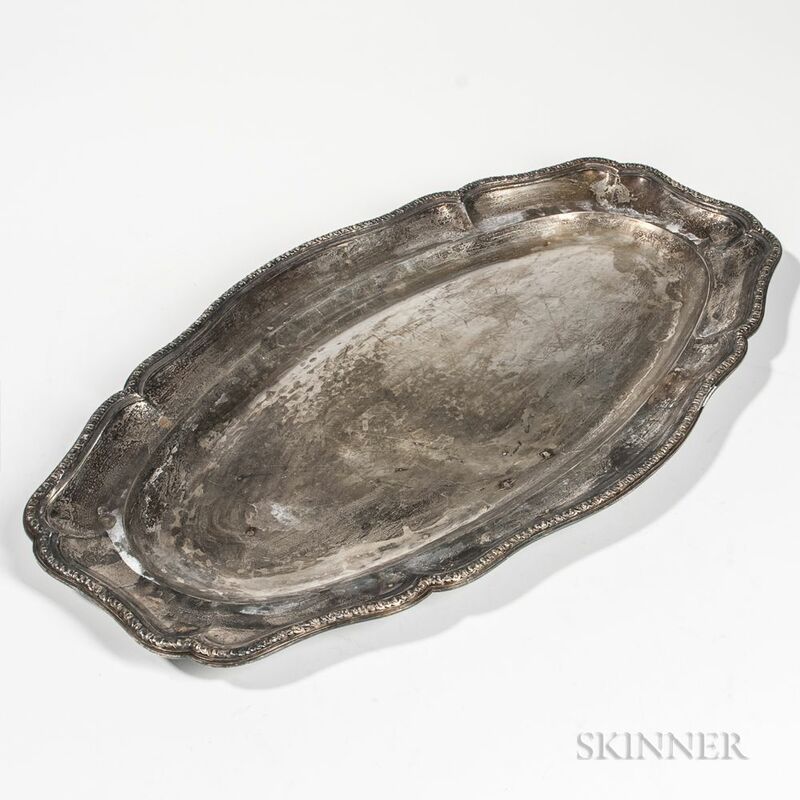 French .950 Silver Tray, early 20th century, lacking maker's mark, oval, lg. 21 1/2 in., approx. 61.6 troy oz.